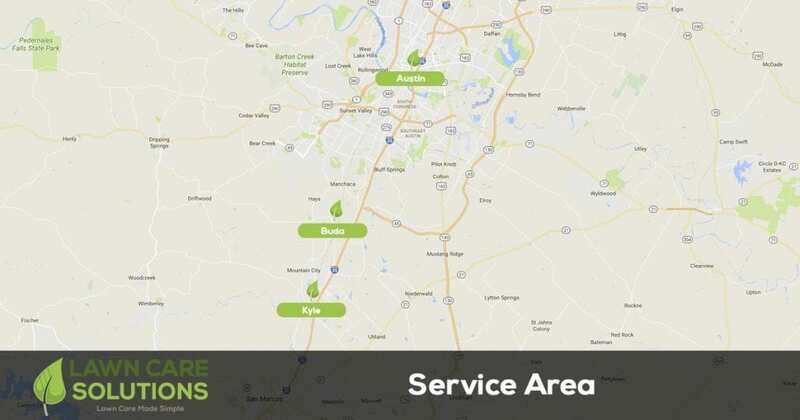 At Lawn Care Solutions we limit our service areas to Austin, Buda, and Kyle Texas to better serve our clients. By limiting our service areas we are better able to respond to customer requests for services and it improves our operating efficiency which enables us to provide our clients with Quality service every visit. Our most popular service is our weekly lawn mowing service By having recurring services we can help our clients when it comes to their lawn and landscape by giving their lawns curb appeal When working with Lawn Care Solutions for all of your lawn care and landscaping needs we can make sure that your lawn is always looking great and healthy. We are able to help by performing any of the lawn care and landscaping services you need, so give us a call today for fast professional service.